Robbie from Fisher Auto shows you how to check your oil level. “Hello there. I’m Robbie with Fisher Auto and today I’m going to be demonstrating how to check your oil level. We’ve just let this vehicle run for ten seconds or so, to let the oil pressure build up, and now we’re going to check the dipstick. “So, we’re going to go ahead and pull the dipstick out, thoroughly wipe it down, and then reinsert it. Push it in all the way, pull it back out, and you can see the two dots there. You want the oil in between both of those. 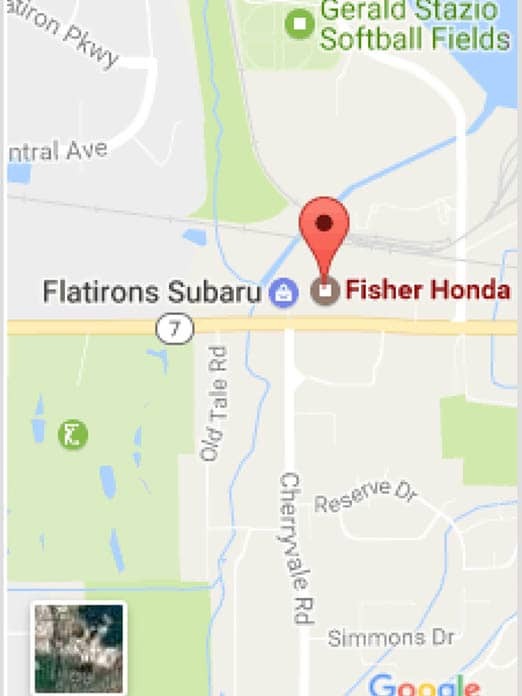 Our certified, factory-trained technicians will deliver the best service and repairs to keep your Honda in excellent condition. We are proud to service customers from all over Colorado, including Boulder, Denver, Westminster, Longmont, Littleton, Thornton, Broomfield, and even as far away as Centennial! Call 303-245-6431 or visit www.FisherAuto.com today to schedule an oil change!